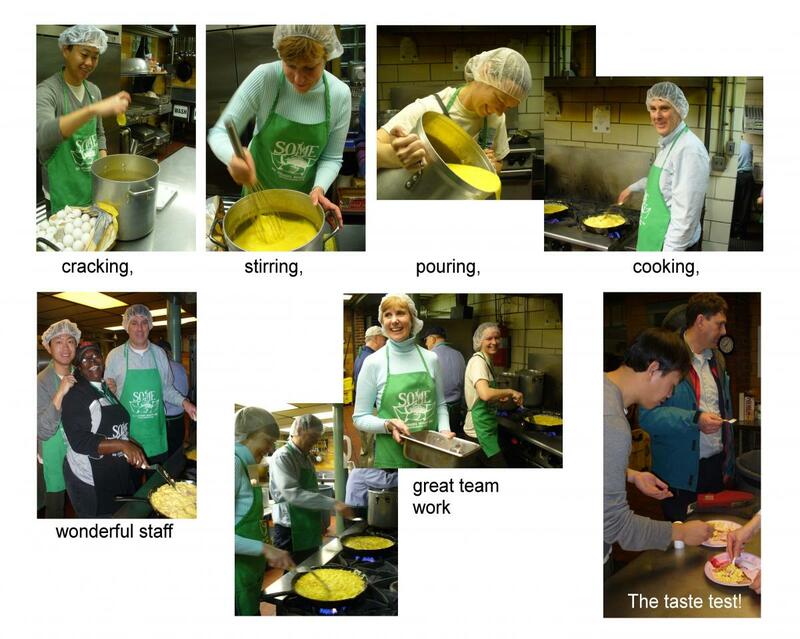 The Carnegie Institution for Washington's Broad Branch Road (BBR) campus in Washington has been recognized by So Others Might Eat (SOME) for serving the “hungry and homeless of Washington for over 20 years." SOME started serving breakfast and lunch to the homeless in 1970. In 1989, two DTM postdoctoral fellows Joanne Eder (astronomy) and Candace Martin (geochemistry) organized a group of other postdocs, scientific staff, and support staff to plan, shop for, and purchase the food for a hearty breakfast for 400 homeless people. The menu consisted of scrambled eggs with ham, homemade muffins, grits, and orange juice. They committed to the first Wednesday of every month for the first year to see if the group could sustain the effort. To feed 400 people every month requires fundraising, shopping, baking the Tuesday before the first Wednesday, and meeting at 5:45 AM to drive to SOME to begin cooking and serving. Over the last 23 years, the menu has stayed the same and not one first Wednesday has been missed. 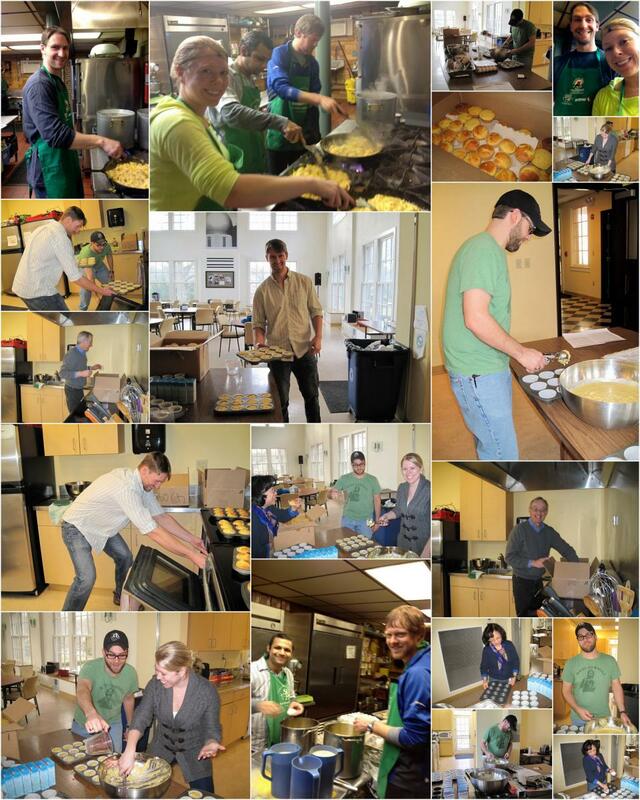 More than 100 BBR and administration employees have been involved in the effort which has served more than 96,000 breakfasts. All SOME provides is the kitchen and the cafeteria setting. More than just a chance to give something back, it has become a marvelous non-science-based way to get to know one’s Carnegie colleagues. SOME partners with many governmental and non-governmental organizations in the D.C. metro area to serve its meals. It is far more that a soup kitchen, providing halfway-house services, employment advice and referrals, drug intervention and basic mental-health counseling. This is the second time SOME has recognized the efforts of Carnegie volunteers. Simply sign in, click on a date (first Wednesdays for traveling cooks, preceding Tuesdays for on-campus bakers and cutters), add your name to the list and click "save." Also, please be sure to double-check the checklist found here! If you would like to help, but are unable to attend, financial contributions (in any amount) may be made by contacting Daniela Power. Thank you for helping us to keep this long-standing tradition alive!